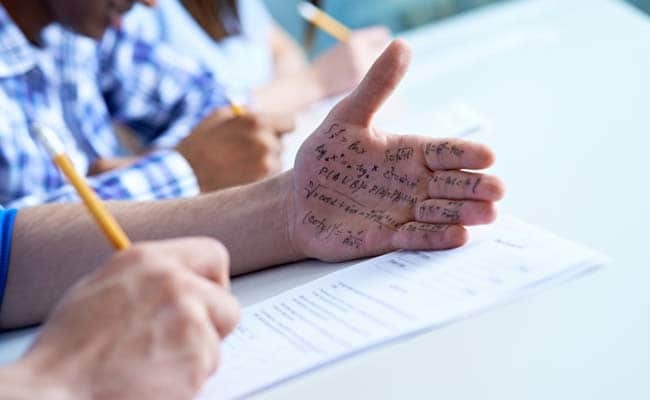 In order to prevent students from cheating, the Central Board of Secondary Education (CBSE) will be issuing an ‘instruction module’ to all schools, a senior Board official said on Friday. According to a media report, the instruction module has reached its final shape. As per media reports, the number of cases of cheating during examinations conducted by CBSE doubled in 2017 from the previous year, rising from 56 in 2016 to 119 in 2017. The official informed that the number of cheating is around a similar figure in 2018 . The ‘instruction module’ has been planned to conduct leak-proof exams this year. There are a large number of CBSE schools across Northeast India and each year thousands of students appear in both Class X and Class XII exams from different parts of the region. In 2018, CBSE question papers of Mathematics and Economics for Class 10 and 12 respectively were leaked to the students before the examinations which created uproar across the country. The question paper leak resulted in re-conducting of the Economics paper for Class 12 students. “We are conducting exams a little early this year at the instruction of the Delhi High Court, which had said that the schools results should not coincide in anyway with the Delhi University admission. To that effect, the results this year will be announced early in May,” the report further quoted the official as saying.